Now that Apple has removed the ability to access the iOS App Store in iTunes 12.7 on Mac/Windows (See MacRumors article), I can't find any way to download an IPA file from the App Store. As a note, I'm not worried about installing the IPA files (see "How do I backup and restore my IPA app backups in iTunes 12.7? "), I just need the IPA files as a developer looking for some basic information on the apps. I'd like to solve this without resorting to jailbreaking as my devices are already updated to iOS 10.3.3. Extract from backup: The apps seem no longer to be backed up. Save to Mac from iPhone management software: I believe this has been blocked by Apple works as far back as iOS 8.3. Figuring out how the file is downloaded via proxy connection: At least for me, this looks too complicated to do because you have to authenticate with your Apple ID and I'm sure that by now, Apple even requires the phone to be authenticated in some way. Not sure if it would even be possible in the same way that you see all those Android APK download services out there. At least for now, it looks to me like maybe the only way is to hold onto an older version of iTunes for as long as that works. If you use the "Apple Configurator 2" app, you can still download and update apps from multiple Apple IDs - as you also could with iTunes. There is now another solution: Apple provides a version of iTunes (12.6.3) which supports new devices such as iPhone 8 and iPhone X which still retains the App Store. Edit: You can have iTunes 12.7 and iTunes 12.6.3 installed side-by-side. Install iTunes 12.6.3 from the links above. Copy the iTunes app and paste it to where you want, rename if necessary. Hold Option and double click iTunes. Create a new library in a separate location. iTunes 12.6.3 and iTunes 12.7 can't use the same library because iTunes 12.7 will update the file and iTunes 12.6.3 won't be able to understand it. Manually download the latest iTunes from Apple's website and run the installer to update your main copy of iTunes. (Optional) Change your iTunes 12.6.3 icon to a different icon to help distinguish between the two. 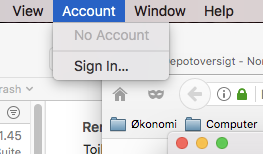 (Right-click, Get Info, drag new icon onto existing icon). Important: You will need to Option-Open each time you switch versions so that you can select the correct library and don't update the older library to 12.7 format. The Mac "Apple Configurator 2" Update button solution will work if you both have an older version on your iOS device or on your Mac, and a newer version is in the App store. directory. Immediately copy the app .ipa file out of that directory to a safe place (remote storage, etc.) before doing anything else (such as quitting the Configurator app, etc.). If an old version of the app is not on your device, but you have saved an old copy from your ~/Music/iTunes/Mobile Applications directory, or other backup, you can first use the Configurator app to install the old app on your device by using: Add button > Apps > Choose from my Mac... After installing the old version, follow the instructions above for updating to the current version of the app to get an .ipa file. If you don't have an old version anywhere, try an Add of the same app twice, and see if you can copy the ipa file during the second Add operation if Configurator complains. Disclosure: I'm one of the developers of iMazing. Seems the new way to do it is to open iTunes, then drag the .ipa file onto the device in the list on the left hand side (between Library and Playlists). Not the answer you're looking for? Browse other questions tagged iphone ios itunes applications . How do I sync apps to my iPhone with iTunes 12.7 or later? Where's the iTunes app section for my iPhone? Can iOS apps be removed from iTunes Music Folder after upgrading to iTunes 12.7?